PM Modi’s announcement of demonetization of Rs.1000 and Rs.500, seems to have polarized the country – People who have black money against whom Modi is waging a war, and others who know how to make it white and are willing to offer their services. And virtually everyone is a financial and economic expert who has very strong view one way or another. Before we try to discuss the impact for SME, it is necessary to try to understand this Demonetization exercise. Left wing intellect uals and Politicians cutting across party line trash the scheme. They are branded as black money holders. Right wingers think this is going to be the gate way of pure bliss. We believe, truth, as always, lies somewhere in between. Typical “Short term pain, long term economic gain” cliché apart, if this exercise is successful, it will bring in some great advantages. Corruption – if some follow up actions are taken – can be substantially reduced if not eliminated. Indian psyche of disregard to rule of law will change for good. With terror finance crippled, Defence and Police will firmly act against terrorists and unlawful elements. Wide spread use of digital payment platforms will be a distinct reality. Unorganised financiers and loan sharks already have a real tough time. This has made life of many small debt laden businessmen easy. Sheer amount of financial intelligence collected through big data analytics may well be worth all the pains. Imagine a situation where Government has absolute insight of financial behavioural pattern of drug peddlers, divisive anti nationals, criminals, gangsters, thugs and local political dadas. Government may well be collecting CC TV footage from known corridors of economic offence. This does not mean people’s sufferings can be wished away. People are sufferings. There is possibility of loss of jobs in semi-cash operated SMEs. In this high decibel altercation that is going on, distinction between ill-earned wealth that is obtained by unlawful means and well-earned commercial wealth without paying taxes has blurred. Blurred so much that, now defunct currency note is assumed to be an illegal tender all along. Legitimate cash economy is totally forgotten. For those who support demonetization, everyone holding cash or against demonetization is a black marketer. Who doesn’t know of at least one otherwise trustworthy businessman who doesn’t pay adequate taxes? Entire rural economy revolves around cash. Bottom of pyramid is poverty stricken daily wage earners. Micro and very small units deal exclusively in cash. They all support the move since they love to see the rich getting poorer, politicians turning in bed worrying, power corridors not knowing what to do with their stash… It won’t take long before reality strikes and something must be done before that for demonetization scheme to be successful. What is that “something” is not very clear. A few objections to demonetization have merit while others are ridiculous and are bids to safeguard political constituency. Cash as percentage of black money is minimal compared to gold, real estate, wealth stashed abroad – staring with the base of ill-earned wealth is a better idea than starting with gold or real estate or foreign accounts. There is sufficient evidence action on others are on the way. Do NPA recovery first – NPA recovery is very tardy and something will have to be done to quciken the process. Banks fear CVC and they don’t take decisions to cut losses in time through One time settlement. There is substance there. That is ₹.69,000 Crs (top NPAs that opposition is picking) while this is ₹.500,000 Crs. They can run parallel. People are suffering and there are deaths – True. They are grinning and bearing even after twelve days of demonetization. May not last long. This has got nothing to do with queues in banks. Actual suffering is crippled cash supply in cash laden economies which feeds daily wage earners and underemployed. Other allegations are wild and without empirical evidence. Let social media handle it. This government is obsessively serious about black money eradication. Reactions from political parties has made it next to impossible to have a more lenient approach. Former Finance Minister calls it “Demonization”. Every left-wing intellectual is predicting doomsday in their articles in famous magazines. Most of the magazines controlled by regional parties are passing social media altercations and conspiracy theories as confirmed news. Irresponsible statements are spoken by otherwise responsible politicians. It has turned into a war from a very strong financial measure. Ruling party cannot afford to lose this war. This has become an unintended all or nothing bet for BJP. Lot of ground work has already been made. Government is actually in a position to take advantage of covered ground. It is apparent, Modi Government has made enormous structural changes. Intelligence wing of Income Tax has its own organisation structure and they share the same building with the IT department. Financial Intelligence Unit is extremely vibrant now. This Government has made “Suspicious Transaction Reports” under section 12 of Prevention of Money Laundering Act into an art form. As of 15th Nov, 2016, Banks have started reporting all cash transaction in real time. All details are available in https://incometaxindiaefiling.gov.in/ and registered users can view their cash transaction after logging in. PAN was made compulsory for purchase of gold and opening of bank accounts. Foreign assets by Indians were asked for declaration. Government has made the country almost Digital Payment ready. India is not far away from a billion savings bank accounts, billion irises activated Aadar Cards, billion PAN numbers and billion debit cards. Major Financial Services Disruption is already underway. Nandan Nilekani’s excellent presentation on this is available in Youtube. The Benami Transactions (prohibition) Amendment Act, 2016 was notified on 1st November, 2016 and PM announced scrapping of currency bills one week later. Frightening. The country is ready to trace unaccounted money very easily with the help of big data analytics. One can easily imagine a few follow up actions. We believe, there will be an IDS type scheme for real estate, gold and foreign assets. This will be followed by swift action under Benami Transactions Act and perhaps “Nationalisation of Foreign Assets”. This may be followed by easing out new high denomination bills with Rs.1000/- bills. Some tax sops are also likely. 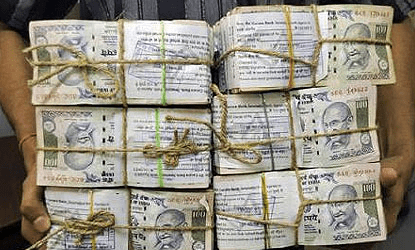 Changing old currency to new currency illegally has become a national sport. Indiscretion prevails all over the place. Mules, Jan Dhan Accounts, Salary to staff and built in account balances (Fictitious Assets available in books inflated for the purpose of working capital loans) using salary accounts of employees etc are the methods used. With the amount of financial intelligence that will be gathered and with banks’ servers getting integrated with Income Tax real time, converting old unaccounted money to new unaccounted money at a deep discount of 30-40% is a bad idea. Why get back 60% of old money with risk of action from the departments, especially when the new currency is also likely to be phased out? Politicians and bureaucrats may take this chance with stashed cash since they are also hit by Prevention of Corruption Act. At the very least they can use the cash if IDS on undeclared and benami property is introduced. 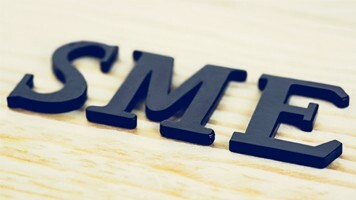 Cash held by SMEs is of different nature. This cash is actually unaccounted working capital. Risking it will hurt the entrepreneur, SME concerned, it’s employees and the nation. They should look at legal and/or less risky methods to salvage their working capital. Entire blog is to reiterate just this statement. This Government is very serious about unaccounted money and SME should not take undue risk which is neither in their interest nor in the interest of the nation. With reduced cash circulation and enhanced technology there is no way under the sun to stash cash. If it gets to bank it will be flagged in no time. Best is to show unaccounted income and pay tax. We believe banks will be lenient in filling the short fall. Over ₹.1,00,00,000/- tax will be about 36% Government does not want SMEs to get killed. Government, based on industry representations, might extend bank loans to the extent of tax paid, in the near future. Paying taxes is the best route available for SMEs and all those who are not hit by Prevention of Corruption Act. SMEs, if they have Cash Credit Account, are likely to have accounts receivables which in reality, are not receivable and are in books just to satisfy the bankers. Using this to deposit cash is inviting trouble. We hear, there are brokers and SMEs canvassing this route for a quick buck. This is again dangerous. We do not recommend this. Here again Industry should represent, get additional finance and go clean. Same is the case with inventory. If an SME can procure materials with old cash, they can bring it to book and feel safe. Not many are lucky. Using Cash Balances – SMEs want to use accumulated cash balance for recirculation. This may or may not fly. They may have a cash balance of Rs.20,00,000/- and they may be drawing from bank on a regular basis. This may raise eye brows. But, if the deposits are reasonable, they may escape. Good luck to SMEs and we wish they go clean this time. We will come out with part two of this series soon. Photo Courtesy New Indian Express and Money Control. Great compilation. & good advice, why don,’t you publish it in the news paper might get very good milage. Excellent article and unbiased. Need to be published. Articles from Professionals are need of the situation. Good read and educational. Didn’t we have solid financial intelligence. With this change and more data at hand, they can go after cash hoarders easily. I was looking for someone to lend neutral voice . Here it is. I wish you had used simple language understood by lay person and briefly.